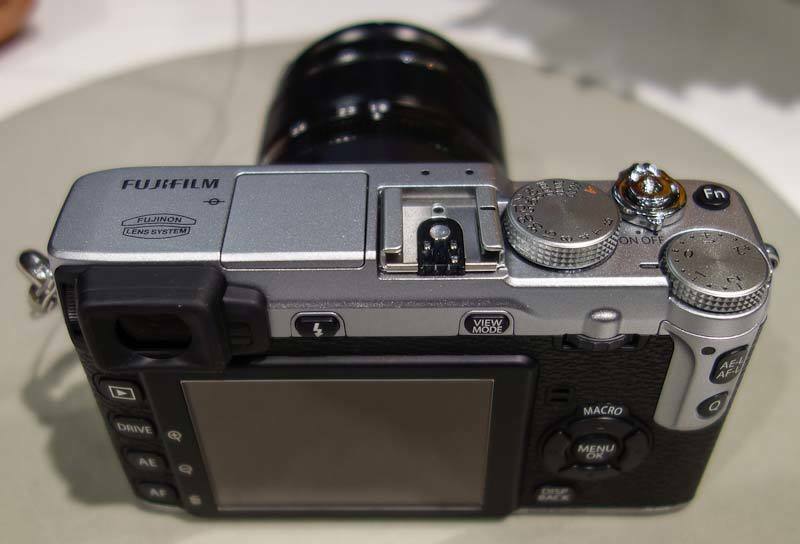 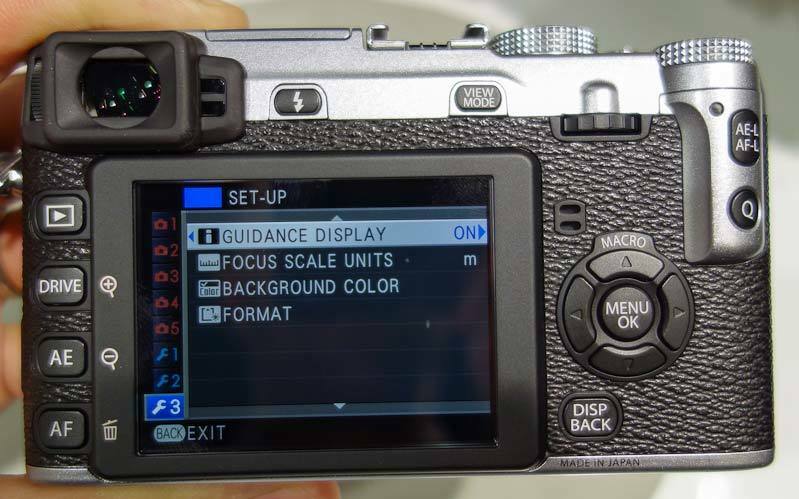 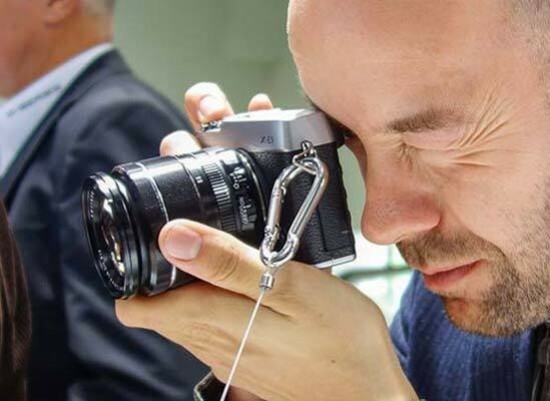 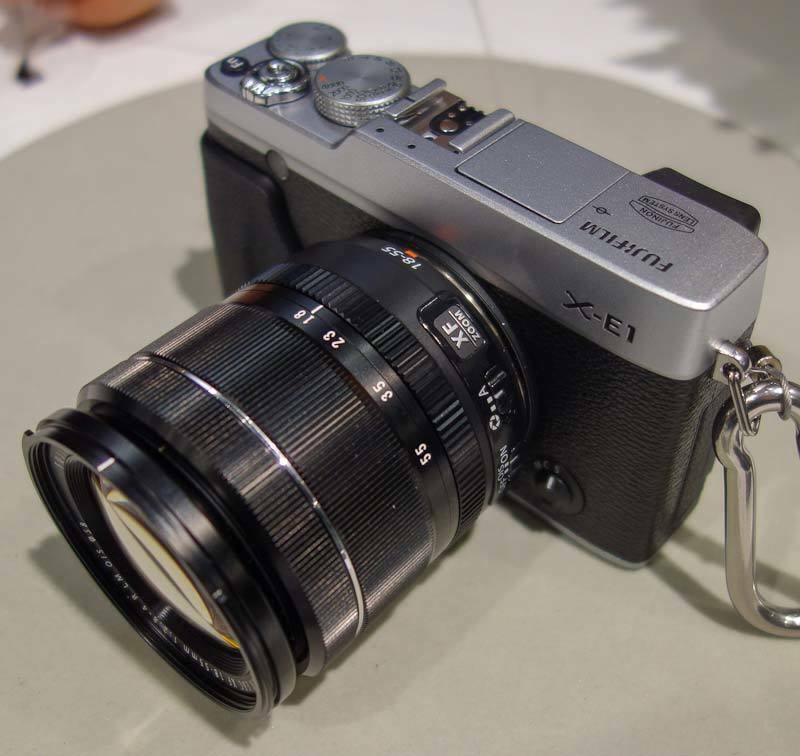 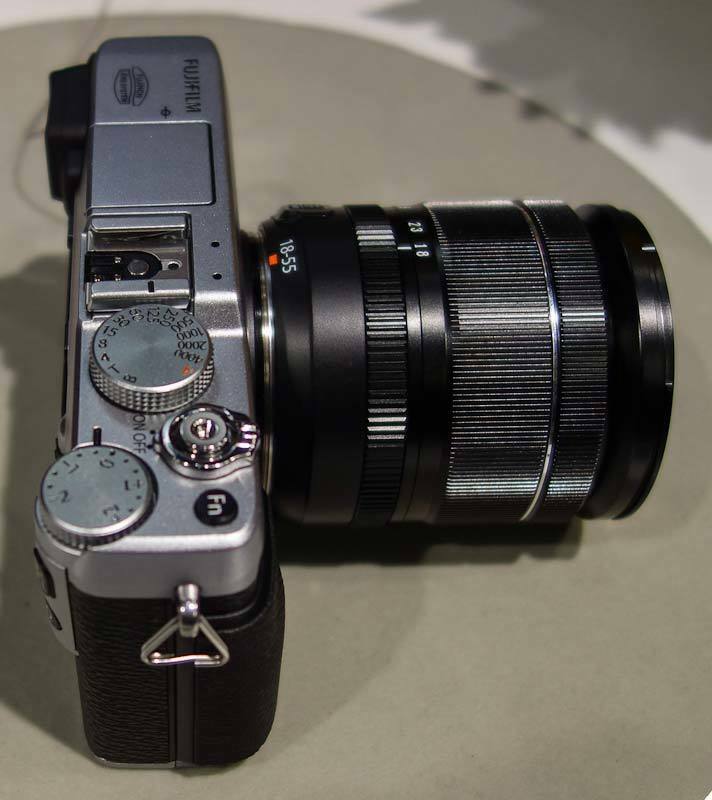 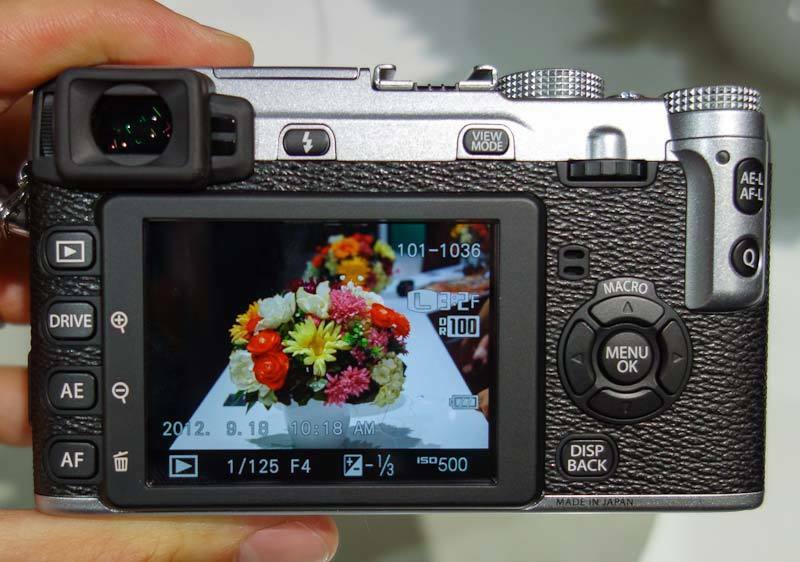 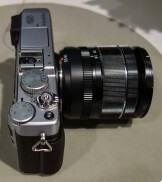 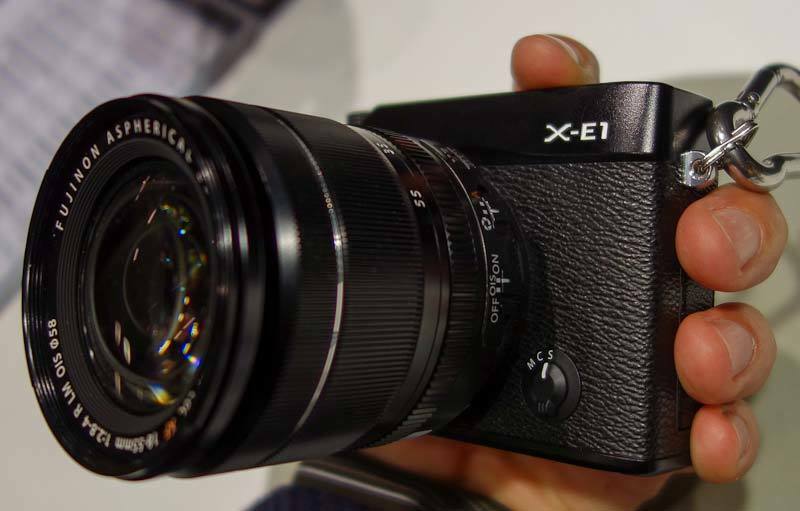 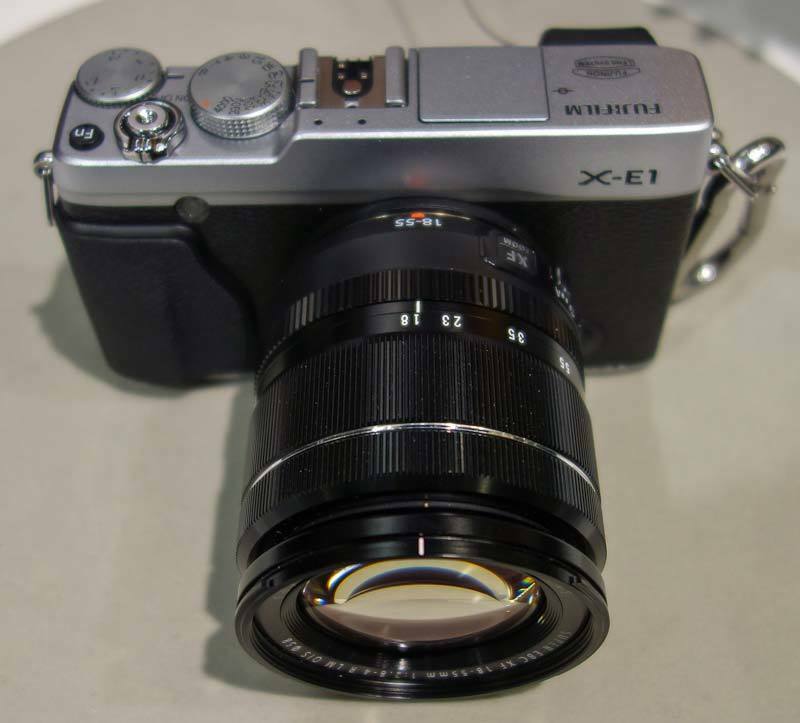 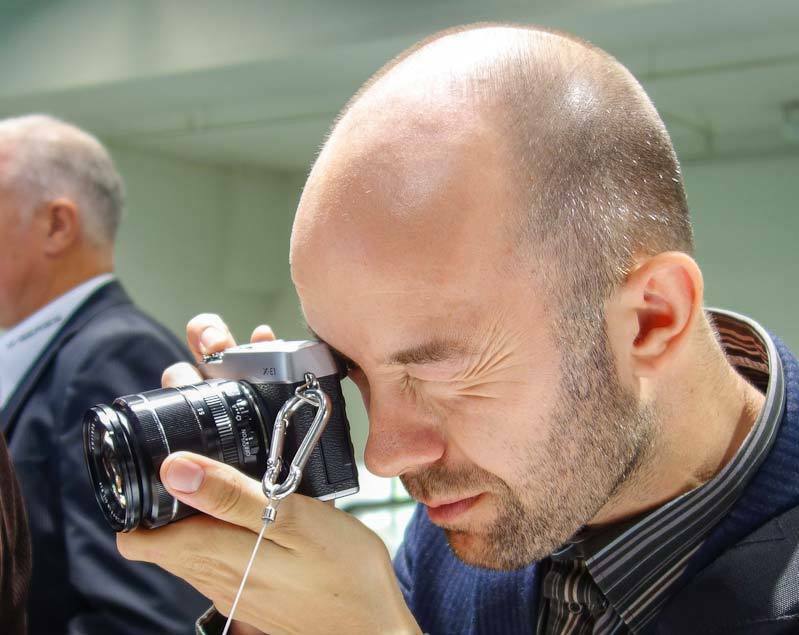 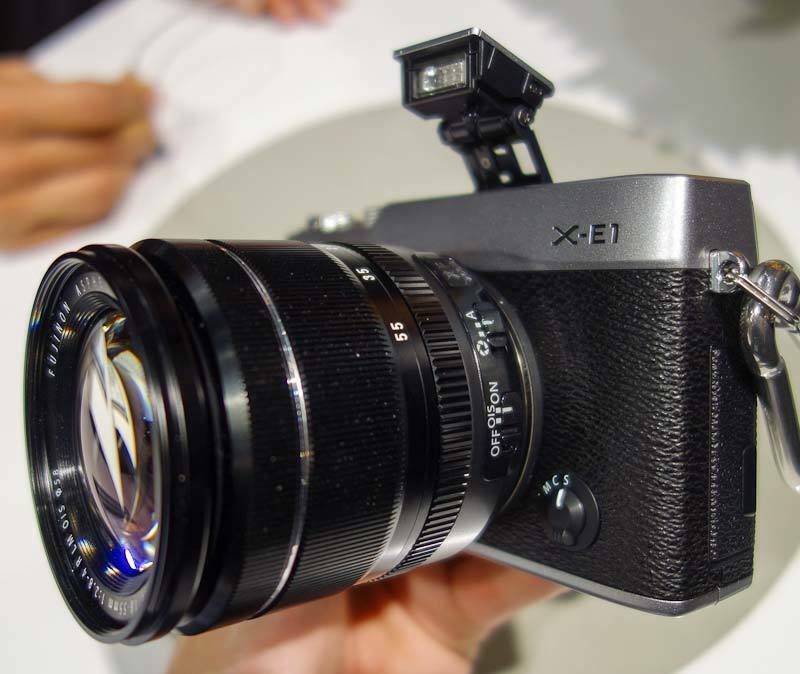 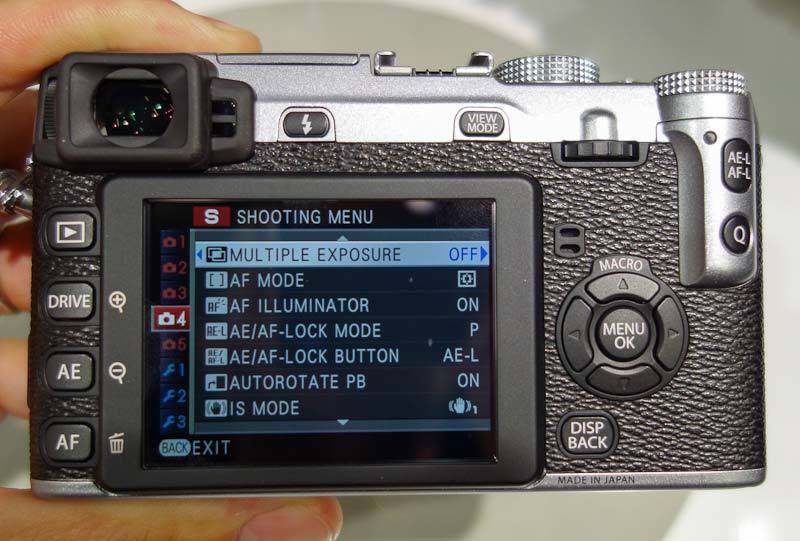 Want to see exactly what the new Fujifilm X-E1 compact system camera looks like in the flesh? 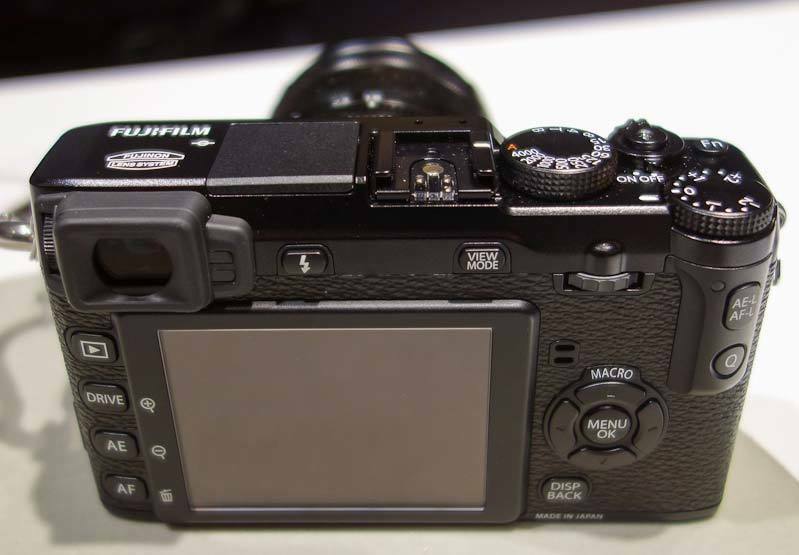 We have compiled a gallery of hands-on photos for your perusal. 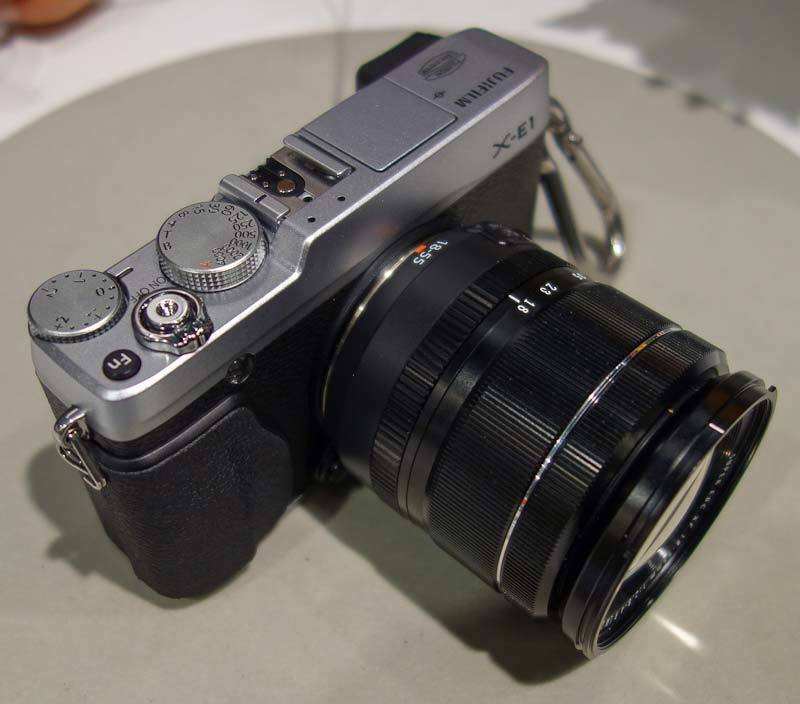 32 hands-on photos of the Fujifilm X-E1 compact system camera and Fujinon XF18-55mm and XF14mm lenses. 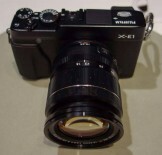 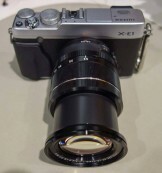 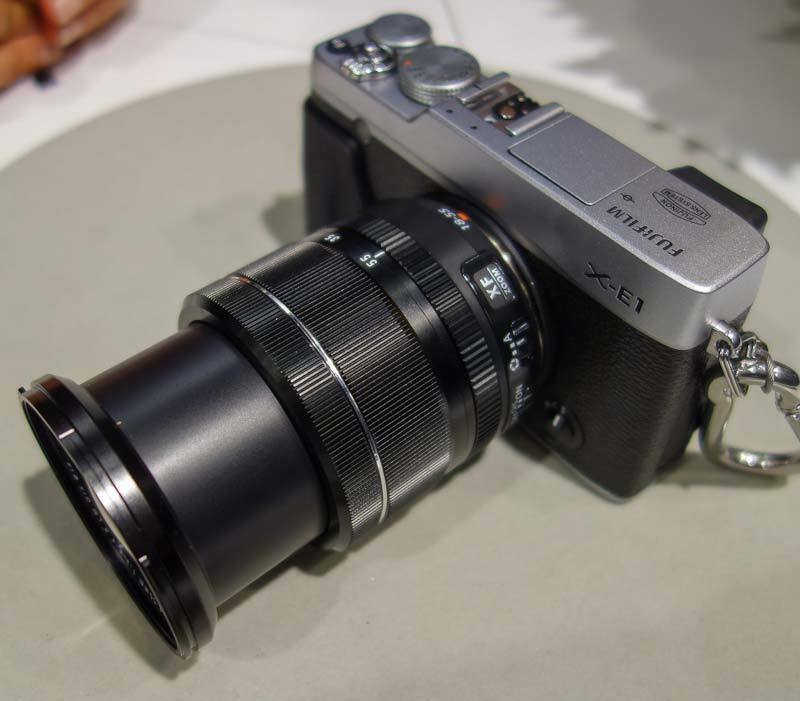 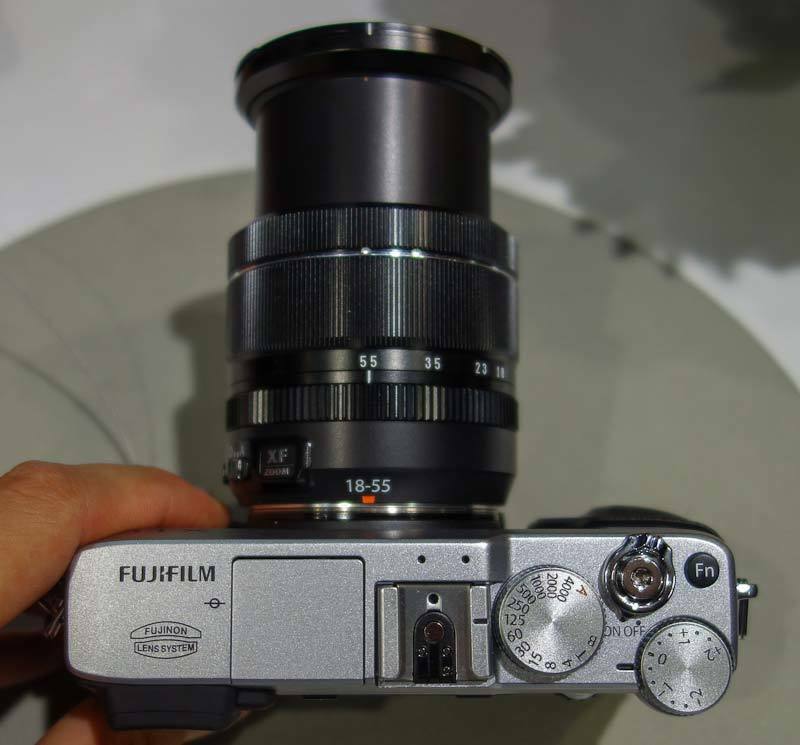 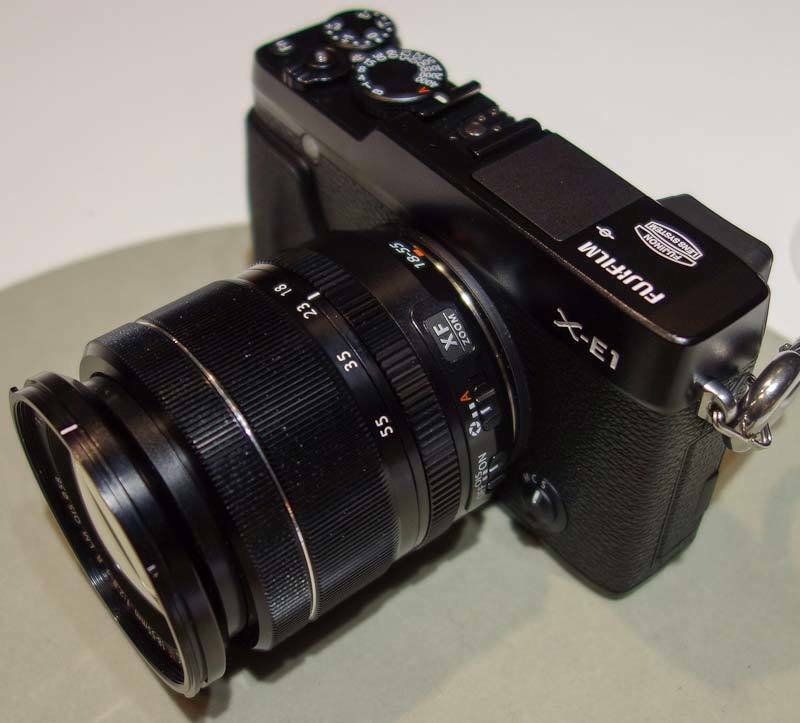 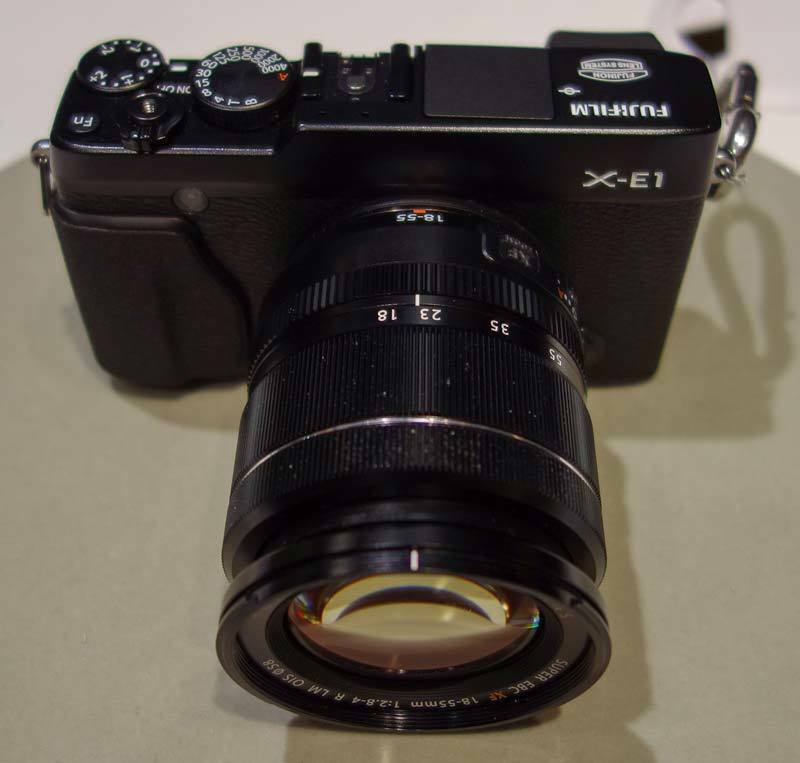 The Fujifilm XE-1 will be available body only and in a kit with the XF 18-55mm lens, which is being released in November 2012. 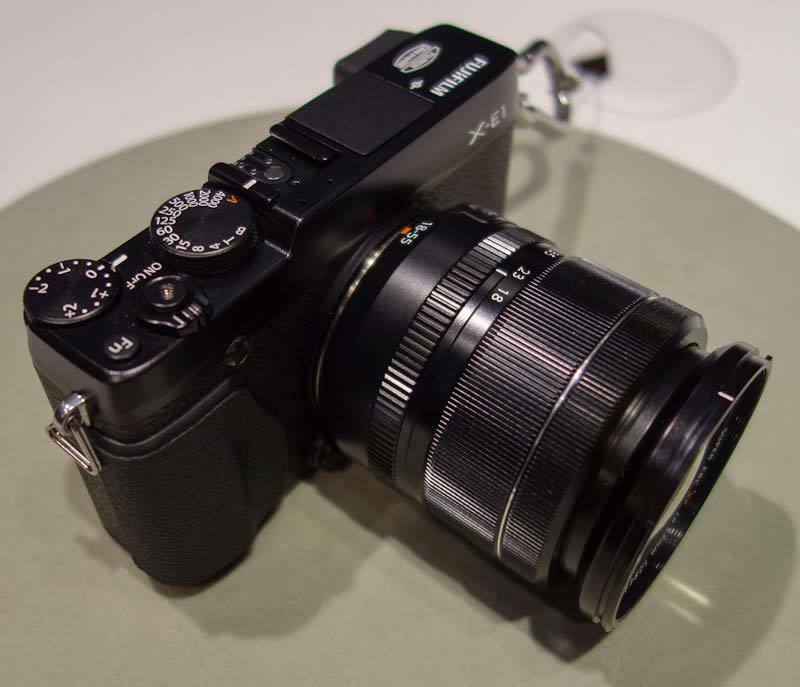 Fujifilm are stressing that this isn’t your average kit lens, with high optical quality, built in image stabilisation and an aperture ring. 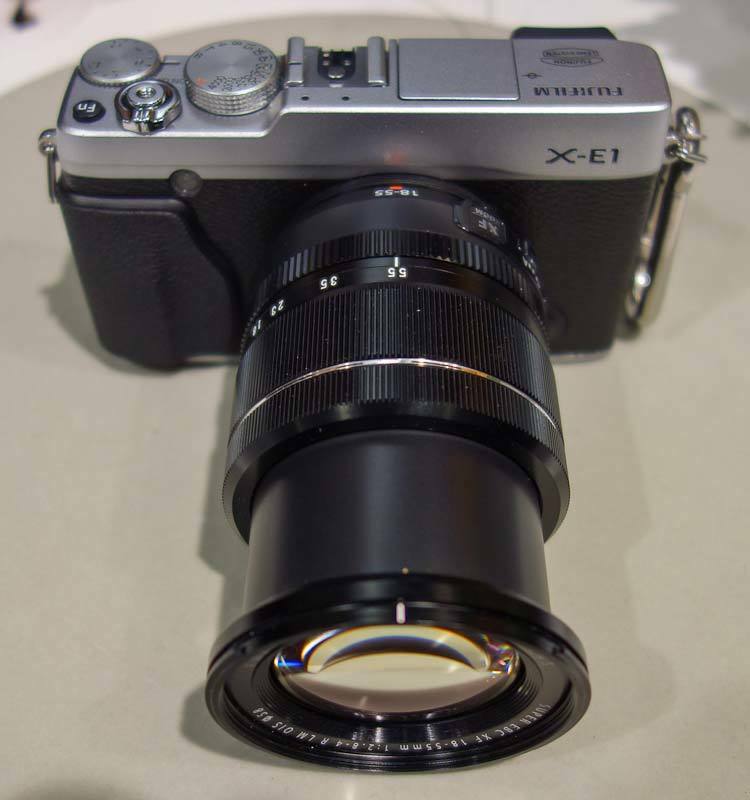 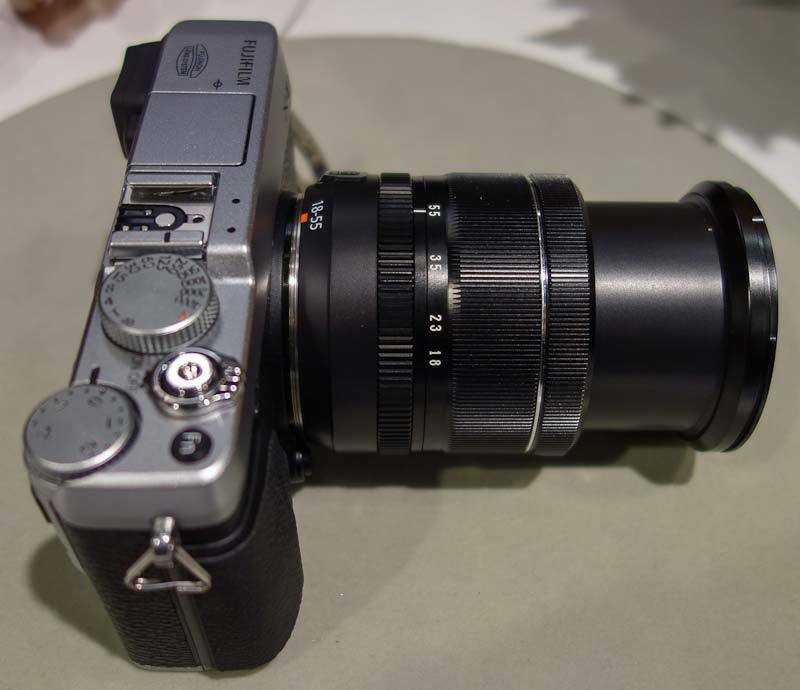 The Fujifilm 18-55m lens also helps the XE-1 to focus in as little as 0.1 seconds. 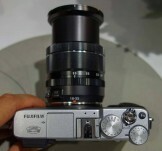 The 14mm prime will make its debut towards the end of the year. 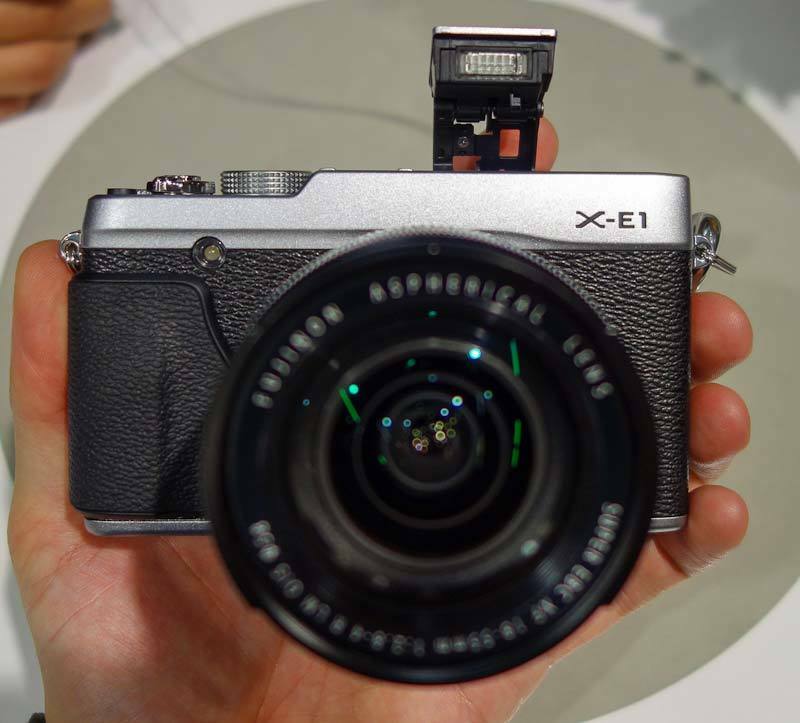 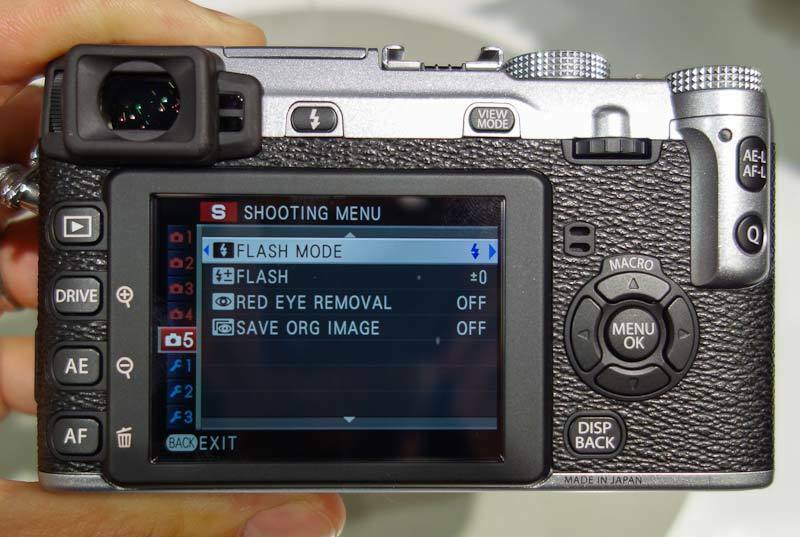 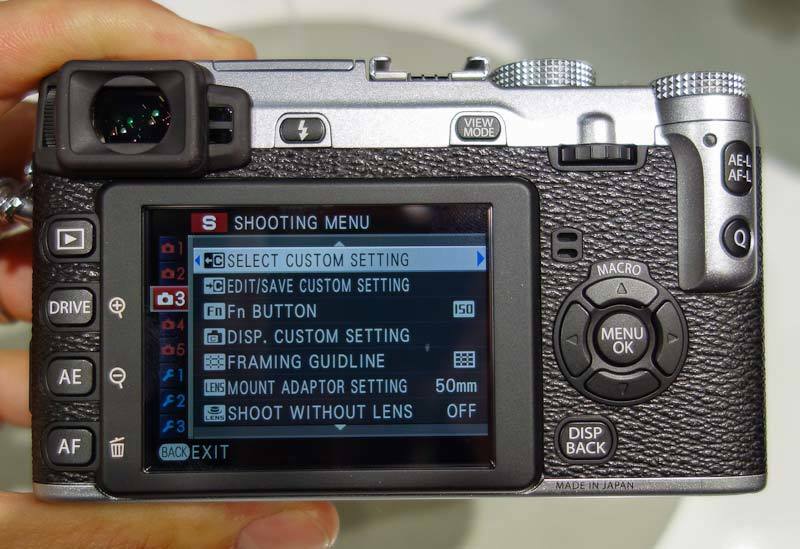 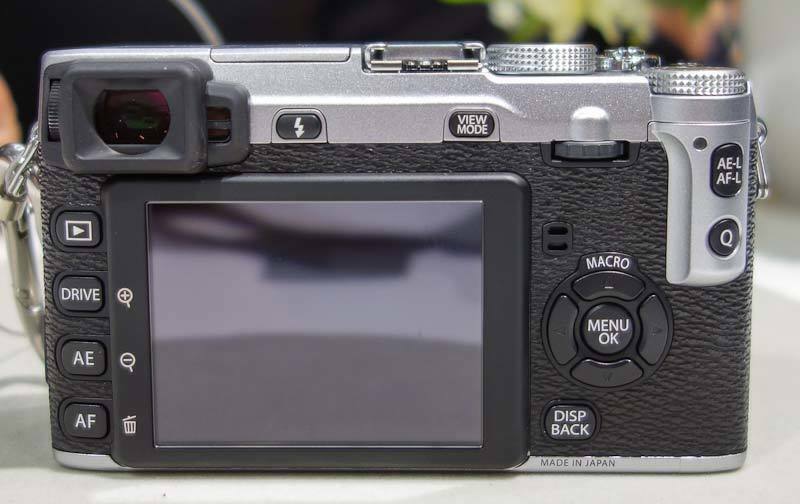 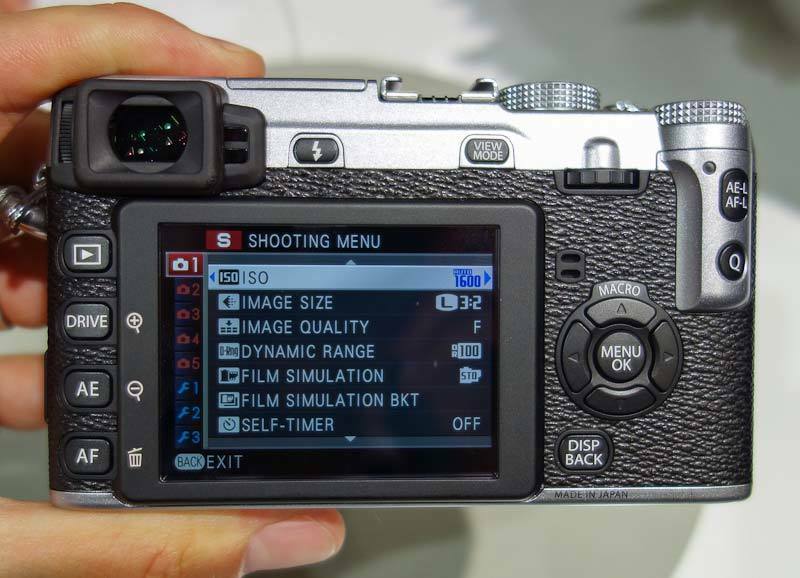 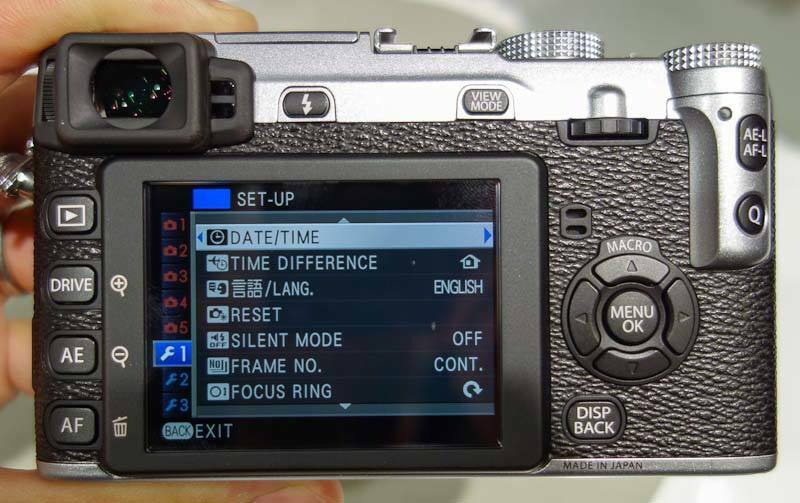 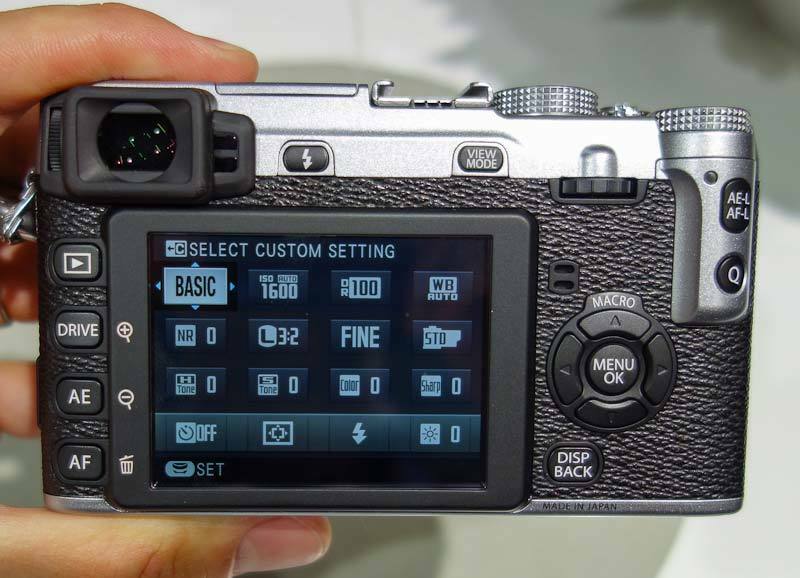 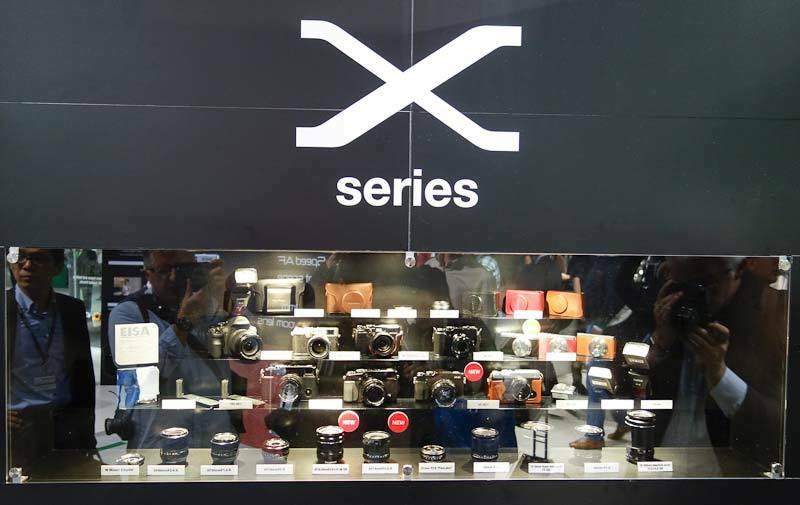 The XE-1 has a higher-resolution electronic viewfinder than the X-Pro1, a pop-up flash, is smaller and lighter, and will be available in Silver/Black or All-black, price to be confirmed. 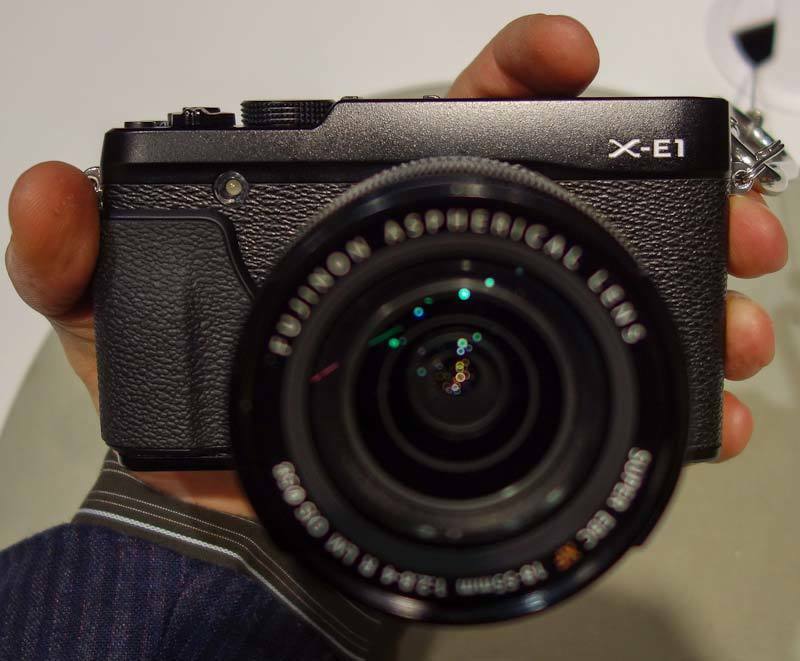 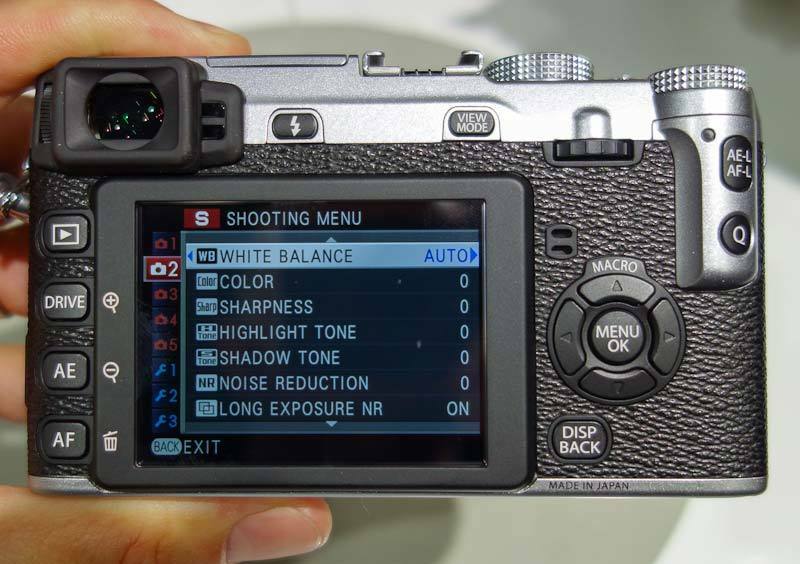 A hand-grip and half-case (tan) are amongst some of the new XE-1 accessories. 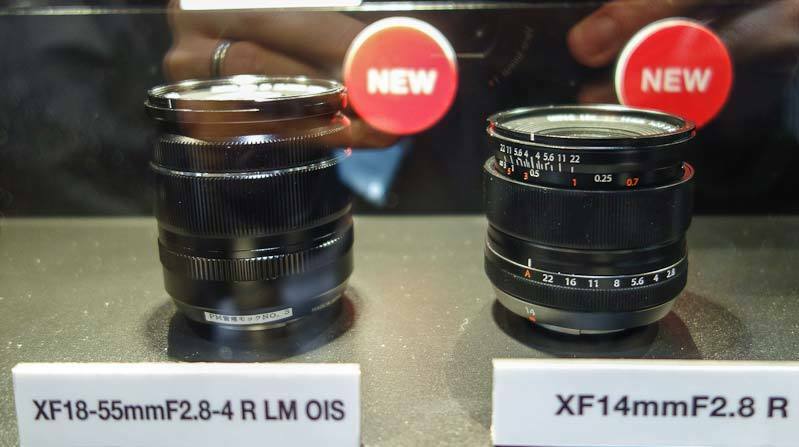 5 more new XF lenses are promised for launch in 2013, fulfilling Fujifilm’s roadmap that they shared with the world back in June.